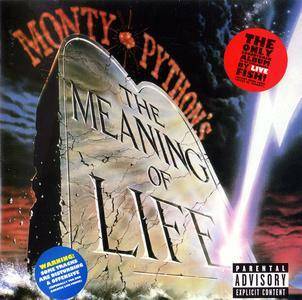 And now for something completely different… Expanded reissue of this 1983 soundtrack to the final Monty Python film featuring an additional 12 bonus tracks including the demo for the theme song, radio adverts and deleted naughty bits. 29 tracks total including 'Every Sperm Is Sacred', 'The Galaxy Song', 'Christmas In Heaven' and film audio soundbytes galore. 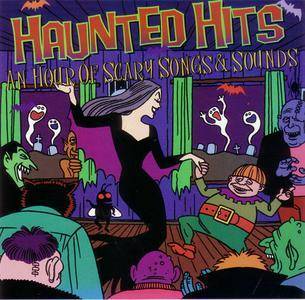 Haunted Hits: An Hour Of Scary Songs & Sounds is a 1996 compilation released by Rhino Records. The theme of it is Halloween-related pop songs by the likes of Screamin' Jay Hawkins, Ray Parker Jr., and such outsiders as sleazy punk rockers The Cramps. While the subtitle says it is an hour of music, it is ready 34 1/2 minutes of music and 25 minutes of "haunting" sound effects. Sunburst Studios are the production company credited in making the sound effects. 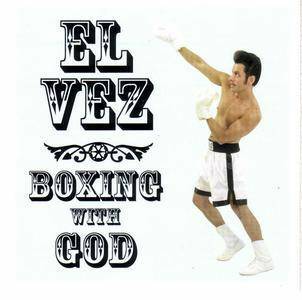 These two albums are released on CD for the first time ever. Founder member Peter Langford has been interviewed by Mojo's Daryl Easlea for the extensive notes, on a release that promises to bring back the fun into music! The Barron Knights are a British humorous pop group, originally formed in 1959, they became the Barron Knights on 5th October 1960. 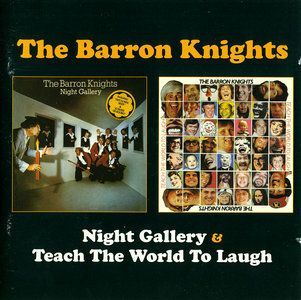 Although the Barron Knights undoubtedly had their own style and produced regular `beat group recordings' in their own right, it was their production of comedy parodies that brought them the greatest success. In fact, their catalogue of recordings - although impressive - does not reflect their success as stage entertainers. By adapting their act to each new wave of emerging performers they were able to survive longer than their more conventional contemporaries, and even today can still be regularly found in cabaret or performing a seaside summer season. A short bio of Madame Jenkins appears in a wonderful book called "American Eccentrics" by Carl Sifakis. It explains the history (or is it hysteria?) of this most maligned and misunderstood of American coloraturas. The most telling of anecdotes regarding M. Jenkins is that she was riding in a New York taxi that crashed. She was going to sue the taxi company until she discovered that she could sing ". . .a higher F than ever before…". Need I say more? Apparently, she sent the cabbie a box of expensive cigars as a thank-you. The full story of the incredible Janie Jones recording career, from her first big hit "Witches brew" in 1965 to her 1983 punk comback supported by "The Clash", who wrote "The House of the Ju Ju Queen" specially for Janie (and backed her on the single). 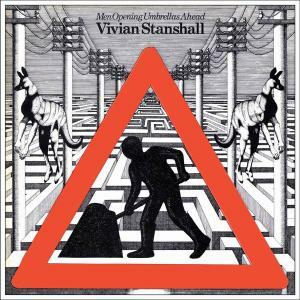 As bizarre and eclectic set of singles as you would imagine from the woman dubbed "London's Vice Queen" by the News Of The World and jailed in 1973, this fascinating CD includes all her a and b sides plus several unissued numbers. The CD concentrates on her musical career with the likes of Jimmy Webb, Marc Bolan and others, and includes detailed notes plus loads of great pictures and cuttings, and a discography. The sixties have never swung quite like this before! 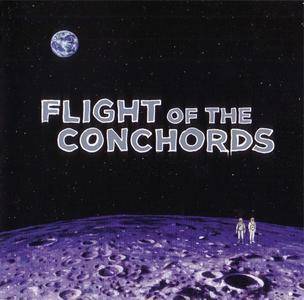 The Distant Future is the 2007 EP by New Zealand comedy duo Bret McKenzie and Jemaine Clement, better known together as Flight Of The Conchords. Released by Sub Pop, this is hilariously funny and funnily hilarious. 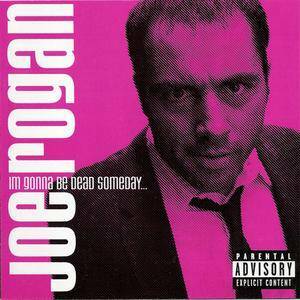 I'm Gonna Be Dead Someday… is the 2000 debut CD from American comedian Joe Rogan. This also features a song called "Voodoo Punanny". The CD was released on 22 August, 2000 by Warner Bros. Records. "Monster Mash" is one of the all-time great holiday songs, resurfacing (and sometimes charting) every Halloween without fail. 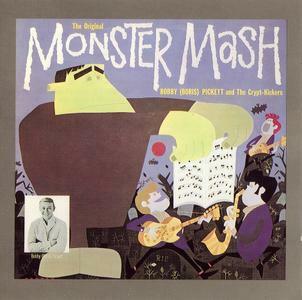 The Original Monster Mash is the accompanying Top 20 album from 1962, on which Pickett leads off with his big hit before plying his Boris Karloff shtick for another 15 songs. Pickett's other Top 100 monster hit, the Christmas novelty "Monsters' Holiday," is here as well, along with dated jokes about Fabian ("Rabian - The Fiendage Idol") and then-current dance crazes ("Transylvania Twist," "Skully Gully"). "Let's Fly Away" is a brief Stan Freberg send-up that replaces "John and Marsha" with Dracula and Vampira. The Crypt-Kickers were an all-star band that counted Leon Russell, producer Gary Paxton, and other famous folks among its members, and the album remains a fine Halloween party platter year and years later. Unfortunately, the album was remixed for CD release in 1991, and the vocals are obscured in the mix so that the generic rock backing often prevails over the "spooky" dialogue and singing, which defeats the point for a novelty effort such as this. 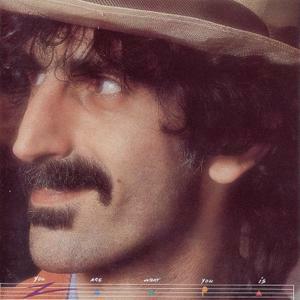 "You Are What You Is" was another of Frank Zappa's periodic post-Over-Nite Sensation efforts that concentrated on tight songwriting supported by satirical lyrics. Originally a two-record set featuring 20 songs, "You Are What You Is" Is skewered a variety of targets, from teenagers, punk rock, disco, and country music to the media, yuppies, the beauty-and-fitness industry, upper-class vice, religious hypocrisy, suicide, and the military draft - all the trappings of Reagan-era America. Heinz Hermann Polzer (24 August 1919 – 13 June 2015), better known under his pseudonym Drs. 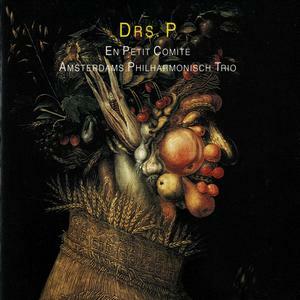 P, was a Swiss singer-songwriter, poet, and prose writer in the Dutch language. Other pseudonyms were Geo Staad, Coos Neetebeem (a variant of the name of Dutch writer Cees Nooteboom) and drandus P. He had a characteristic, cracking, voice. 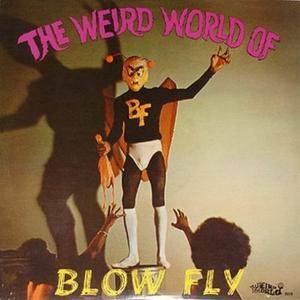 The Weird World of Blowfly is the 1973 album by Clarence Reid, who was also known as comedian horny singer/rapper Blowfly, who died on 17 January, 2016. This was his debut to the world as the funny man of blackness, where he would do parodies of hit songs of the time along with creating his own dirty tunes true to his songwriting talents. This was released by Weird World Records, a semi-anonymous part of the Henry Stone family of labels. 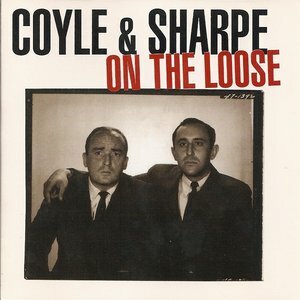 On The Loose is a 1995 comedy CD compilation by Jim Coyle and Mal Sharpe. 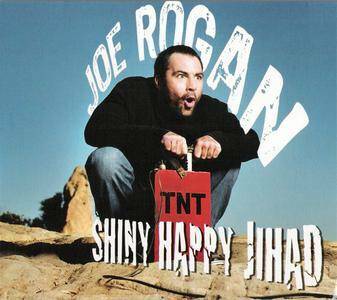 This was released by Henry Rollins on his label, 2.13.61 Records.